The plot of Sci-Fi’s Dune follows the broad outlines of Frank Herbert’s novel. While Hollywood might be tempted to turn Dune into an action-adventure movie, this is ultimately a story about characters and politics. Sci-Fi gets that. Its Dune manages to stay focused on the political intrigue and on Paul’s rise as a religious messiah. The miniseries’ 5-hour runtime allows the plot time to breathe, which is really necessary for a story of Dune‘s complexity. Unlike Lynch’s Dune, it’s possible to understand this version without having read the book. Director John Harrison repeatedly emphasized his intent to remain faithful to the book, and he largely succeeded. The miniseries makes three major changes from the novel. First, it gives Princess Irulan (Julie Cox) a much more prominent role (recall that in the novel she only appears at the very end). She and Paul meet at a dinner party on Arrakis before Dr. Yueh’s betrayal, so she feels compelled to investigate when he goes missing (although Paul does fall in love with Chani and accepts Irulan as a wife in name only). The Irulan subplot works on several levels. First, the treatment of gender in the original Dune might not sit well with modern audiences. The primary female character, Jessica, is a concubine who later gets thrust to the margins of the story. Chani is primarily a love interest. So Irulan’s subplot raises the profile of a strong female character in a way not inconsistent with the novel. I could easily imagine Herbert’s Irulan, with her passion for historical research, trying to unravel the mystery behind the Harkonnen plot. The Irulan subplot also provides a window into the other parts of the Dune universe. The miniseries spends more time with the Harkonnens on Geidi Prime and even on Kaitain, the imperial capital. 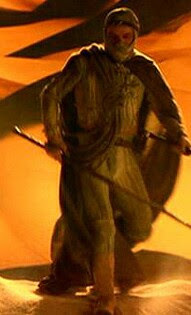 Again, these scenes felt consistent with the novel, as if they were implied in Frank Herbert’s text. If anything, seeing so many other worlds made the Dune universe feel even more expansive. Finally, in the Sci-Fi Channel version of Dune, Paul’s character is an adolescent. This change was only partially successful. I’d always thought Frank Herbert’s Paul was a bit too mature and confident for his age (around 15 years old). In the miniseries, Alec Newman’s Paul is, well, a 15-year old teenager. He’s obviously talented, but at times he’s also whiny and unsure of himself. I suspect this change was intended to make Paul a more “relatable” character. The miniseries doesn’t dwell on this side of Paul and allows the character to mature over the course of the story. Unfortunately, Alec Newman’s acting doesn’t quite work, as it seems like he’s playing the character as both too stiff and too immature (admittedly, Paul Atreides is a very difficult role). Dune benefits from the TV treatment because the story isn’t confined to a 2-hour runtime. However, TV movies – especially during the early 2000s – tend to have smaller budgets. This is apparent in the Sci-Fi Channel’s Dune. The effects, passable on a small TV screen in 2000, don’t hold up on a big screen TV years later. The deserts are backdrops on a soundstage and have absolutely no depth. The sandworms, arguably the stars of the story, look like something out of a 1990s video game. Given the constraints, I can’t blame Harrison or the cast and crew, but it’s hard to feel immersed in this world when it looks so fake. 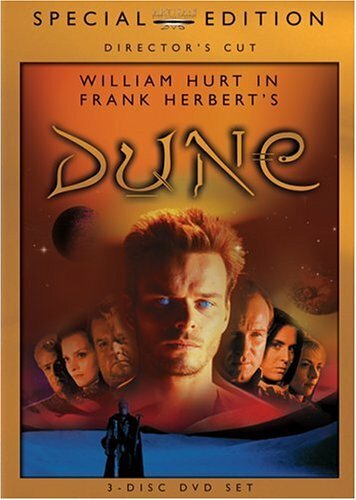 Lynch’s Dune, made 16 years before this version, looks far more convincing. The Sci-Fi Channel’s miniseries isn’t the adaptation Dune deserves, but it’s the best one out there… so far. Fortunately, Denis Villeneuve is currently working on a new two-part adaptation of the book. Given his phenomenal work on Blade Runner 2049, I can’t wait to see what he has in store. A few years after this mini series came out, SciFi channel also did a Children of Dune miniseries. They had a better idea what they were doing, had a slightly better budget, the actors had a better feel for what was going on. The Children of Dune miniseries was excellent, for what it set out to do, I highly recommend it if you can find a copy anywhere. Fun fact: I was so obsessed with the Children of Dune miniseries that when I got married I walked down the aisle to music from the soundtrack. You’ve anticipated me by about a month. The Children of Dune miniseries review is coming out after I get through the books. I agree, it’s a vast improvement and is probably going to remain the definitive adaptation of Dune Messiah and Children of Dune. Awesome idea for the wedding! Brian Tyler’s score is very underrated. Better than most of the soundtracks for major Hollywood franchises these days. Which track did you use for the wedding? It’s been years, I don’t remember exactly which one. It is a track where a woman is singing, and there is a dramatic melody, a melody that shows up in other tracks too. Great track. That’s the one that plays during the Godfather homage, when Paul and Alia crack down on their enemies. I’m usually pretty good as well at holding my nose when it comes to outdated special effects and just enjoying the story. That’s how I got through Babylon 5. I ultimately am glad I watch B5, but have trouble recommending it to other people. I for the life of me do not understand why the show hasn’t been rebooted yet. Everything else has been rebooted, even though there was no need for a reboot, yet B5 is one of the few franchises that would benefit from a reboot. It had a great idea, pretty good writing, but would benefit from the better acting and special effects a reboot could afford.